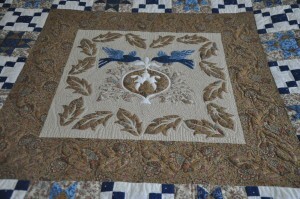 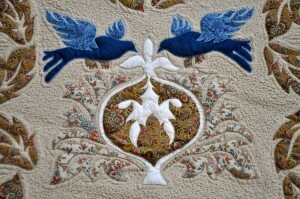 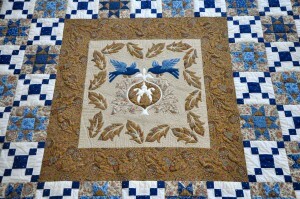 Love Birds, The applique on the corners is taken from designs by Michele Hill. Love Birds, the center panel – you can see the trapunto in the acanthus leaves in this photo. 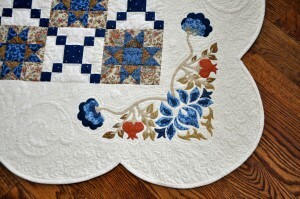 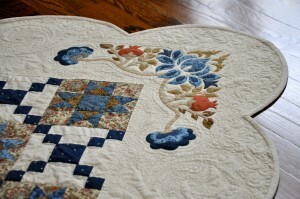 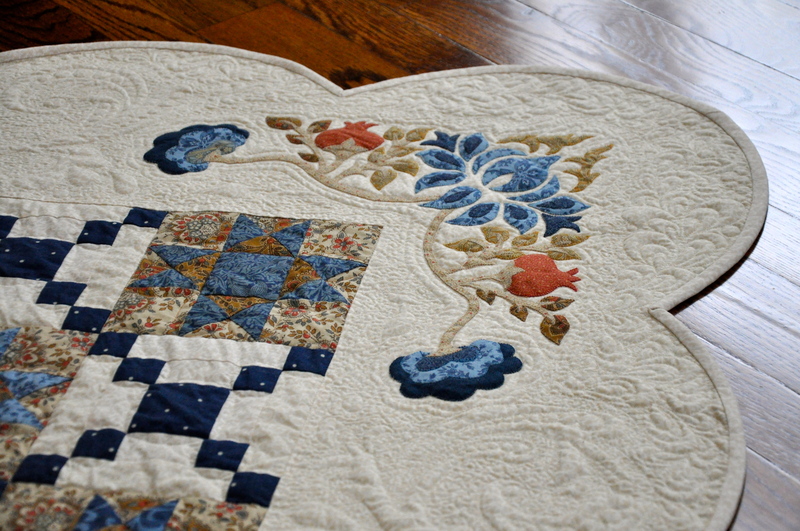 You can see the mix of applique and pieced blocks in this photo. 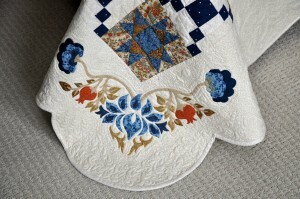 This shows the trapunto and quilting off nicely. I used ideas from Michele Hill’s patterns to create the applique. 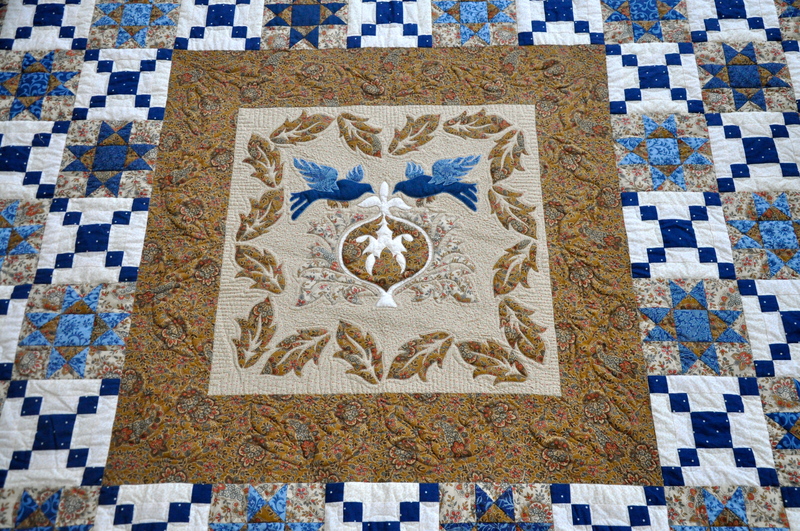 A king/queen-size quilt made for my nephew Alex Meyers on the occasion of his marriage to Kate Leighton, Dec 29, 2013. 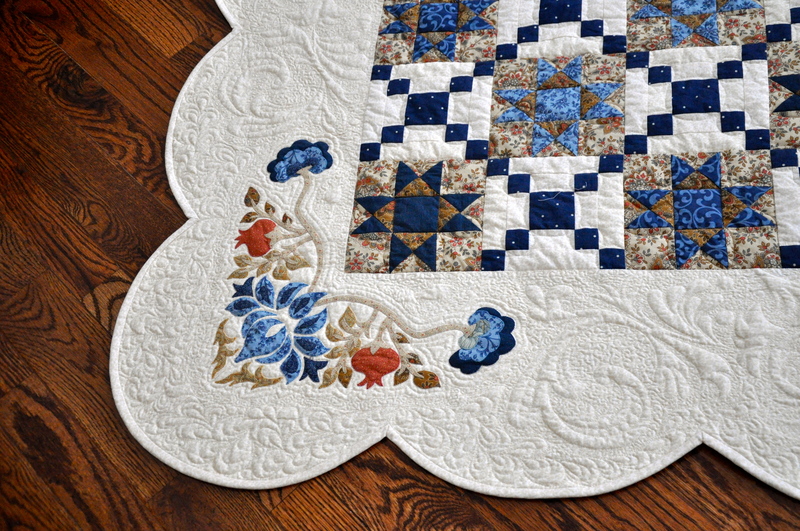 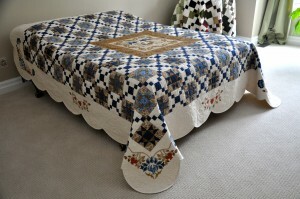 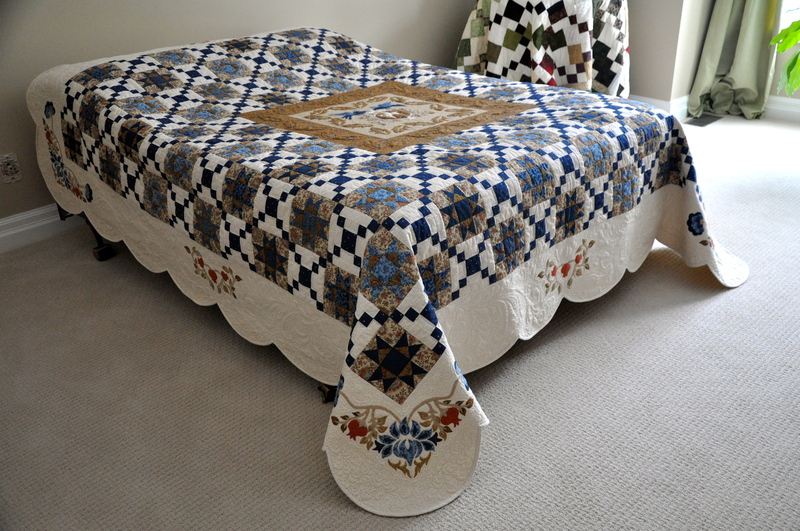 This quilt was designed by Marion Meyers using two lovely quilt patterns. 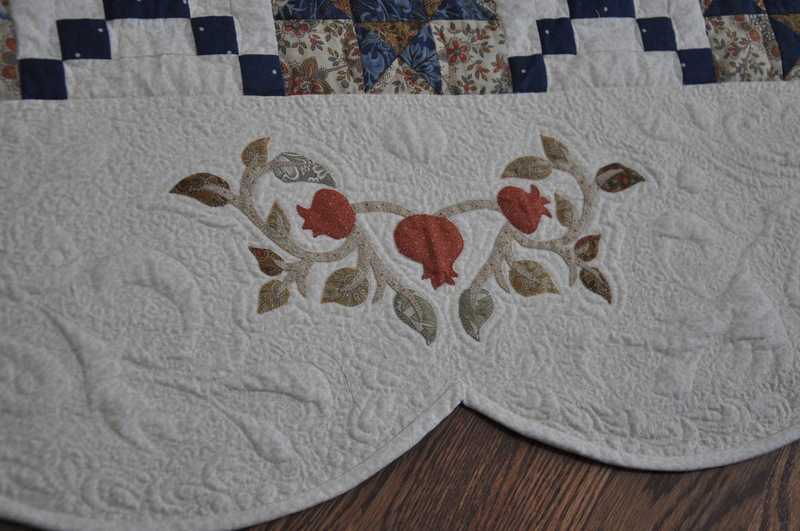 The blocks and basic layout comes from a pattern by Sherri Hisey of Border Creek Station Pattern Company and the applique is modified from patterns created by Michele Hill. 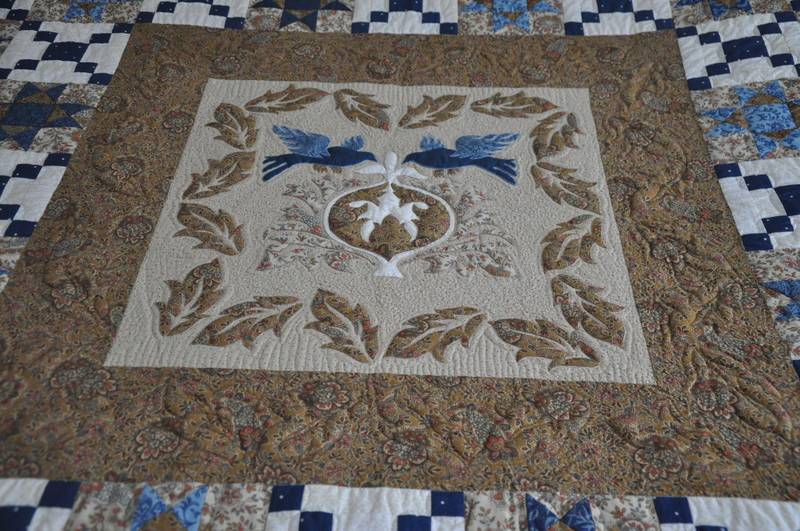 Love Birds won the Viewer’s Choice Award and the Canadian Quilter’s Association ribbon at the May 2016, Show of Many Hands put on by the Port Perry Patchers Quilt Guild.